More than 2800+++ Sold / TOP SELLER / FAST POST !!! Innisfree Glow Tint Lip Balm. About Innisfree Korea. Source provided by Innisfree. 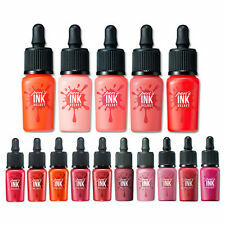 -Only for lip makeup purpose. when there is sudden change of temperature and it is not a defect. -Keep away from children and direct sunlight. Christian Dior Addict Lip Glow Balm 1.4g (004 Coral & 001 Pink) RRP £25. 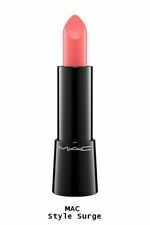 Dior Addict Lip Glow Color Awakening Balm 1.4g. PINK & CORAL DUO SET. Apply a lip cream to soften and protect. Innisfree Glow Tint Lip Balm. About Innisfree Korea. Source provided by Innisfree. -Only for lip makeup purpose. -Macadamia nut oil, coconut oil, almond oil. flaxseed oil, etc. when there is sudden change of temperature and it is not a defect. NEW & SEALED DIOR LA COLLECTION TRAVEL SIZE PINK LIP GLOSS GIFT SET - RRP £50. Beautiful 5 piece Limited edition Dior Lip Gloss gift set. Great gift set. Good product. I always take photos outside in natural light, as long as it isn't raining 😊. 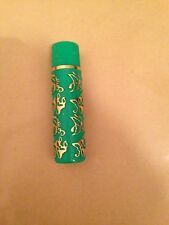 MAC Satin Lipstick, 3g Full Size, 822 spirit Brand New In Box. Condition is New. Dispatched with Royal Mail 2st Class recorded. 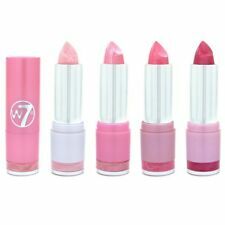 You are bidding on a brand new Estee Lauder Pure Colour Long Lasting Lipstick in #53 Wildly Pink Shimmer. The item will be shipped by Royal Mail First Class Signed For to ensure prompt delivery. The item comes from a smoke and pet free home. If you have any questions please ask before you bid. Want the London look?. We will always help you to have a 100% positive happy buying experience. This product contains ginger juice, which will bring a spicy feeling when used. Don't worry, this is normal. Net content: 6 ml.